Do you think it's important to explore Pluto? Why or why not? 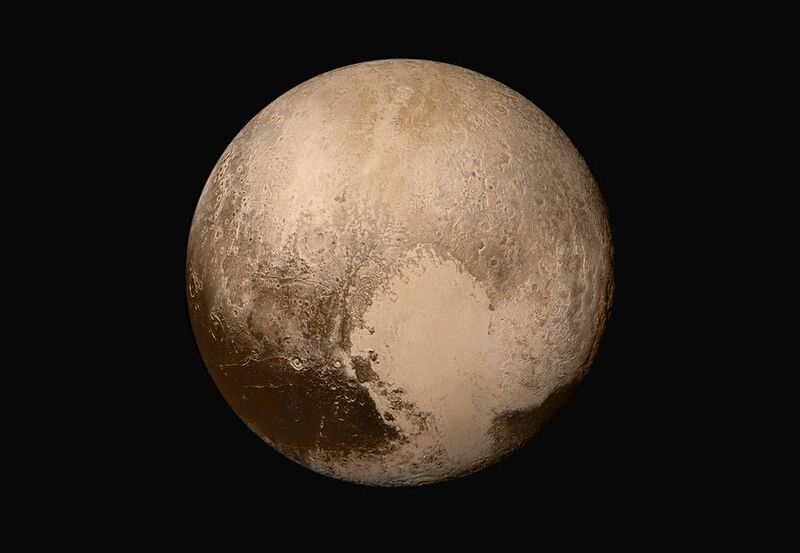 What do you think scientists can learn from studying Pluto? How can that information be useful to people on Earth? In the article, Mission Operations Manager Alice Bowman likens the New Horizons spacecraft to a teenager. Do you think this is a good analogy? Why or why not? What do you think would be the most difficult part of a mission like this: building a spacecraft capable of completing the mission, interpreting the data it sends, or waiting patiently after the spacecraft launches—knowing that there is no guarantee of success? Explain your response. To conduct this activity, you will need construction paper, scissors, transparent tape and one unopened box of tissues per student. You may wish to have each student bring a box of tissues from home. Review the article with the class. Then read the final two paragraphs aloud. Discuss Bowman's reaction to achieving her childhood dream. Invite students to identify goals they've had and met. Encourage them to describe how that success felt. Instruct students to each take out a piece of paper. Tell them to identify and write four goals for the upcoming school year: a personal goal, an academic goal, a goal for the class and a goal for the school. Give each student a box of tissues and access to the other supplies. Instruct students to cover everything except the opening on top of the box with construction paper. Remind them to be neat! Instruct students to write one goal on each side of the box. Encourage them to add relevant illustrations. Then have students write about or discuss how they can achieve their goals. Invite students to share their finished boxes with the class. Encourage students to explain why they chose one or more of their goals. Challenge them to outline how they can accomplish their goals. Collect all boxes. Use them during the school year as a way to inspire students to continually strive to reach their goals. Brainstorm ideas for goals as a class. Once students have identified their goals, instruct them to write a complete sentence about each one. As students share their goals, encourage them to identify classmates who have similar or complementary aspirations. Challenge these students to identify ways they can work together so they both have success in the coming school year. Have students brainstorm ideas for goals in small groups. Once students have identified their goals, instruct them to write a complete sentence about each one. Challenge them to then craft a three-step plan outlining how they can achieve one of these goals. Invite students to share their goals and plans with the class. Encourage them to identify classmates with similar or complementary aspirations. Challenge these students to identify ways they can work together so they both have success in the coming school year. Revisit this exercise periodically to assess students' progress and remind them of their goals. Have students brainstorm ideas for goals with a partner. Instruct them to write a sentence summarizing each one. Then challenge students to craft a three-step plan outlining how they can achieve each goal. Invite students to share their goals and plans with the class. As they do, encourage classmates to identify ways they can help one another achieve success. Instruct students to incorporate these suggestions into their plans. Have students create a log so they can track their progress throughout the school year. Revisit this exercise periodically to assess students' progress and to remind them of their goals. Give students time to carefully consider their goals. Then have them write a sentence summarizing each one. Challenge students to craft a detailed plan outlining how they can achieve each goal. Encourage them to include examples of how other people can help. As students share their goals and plans with the class, invite classmates to identify more ways they can help. Encourage students to incorporate these suggestions into their plans. Have students create a log so they can track their progress throughout the school year. Revisit this exercise periodically to assess students' progress and to remind them of their goals. Students design and launch rockets for three different missions into space. The choices they make will directly affect the success or failure of the rockets they create. Students use the poster to answer questions including: How might robots help in space exploration? What tools help us explore the universe? How can we live in space? Students select a planet and design a probe to explore it. Students consider various reasons for going into space and compare conditions in space with those on Earth.